How would you like to own a piece of cell phone history – a classic handset from over a decade ago? Turns out that's totally possible. Many iconic cell phones are still on sale online even though their manufacturers have long discontinued their production and support. Here's what we managed to come across after a little digging. Remember the Nokia 3310? With over 126 million units sold worldwide, it holds a special place in the hearts of many. And now, 14 years after the handset's release, online retailers are offering a 3310 in refurbished form for around $20 bucks or less. And speaking of Nokia phones, the Nokia 8210, which was the smallest and lightest Nokia at the time of its release (1999), costs roughly the same online. Yup, there actually was a time when people wanted a phone as small as possible. The Nokia 7110, also known as the "banana" phone, can be found on sale as well. However, it will cost you at least $40 to own the world's first handset with a WAP browser. On the other hand, a refurbished Nokia 1100 – the world's best-selling cell phone – can be had for just about $13. Not much of a nostalgic Nokia fan? No worries! A number of old-school phones from other brands can be ordered from here and there. For those who miss the Motorola RAZR V3, refurbished units cost under 20 bucks online, available in a variety of colors. There's also the Motorola V70 with its unique rotating design, priced at rouglhy $40. We must also include the Sony K750 on the list – a phone that amazed us with its 2MP AF camera back in 2005. Its price online hovers around the $30 mark. So yeah, if you're feeling nostalgic about the good old days when cell phones lasted a week on a single charge, or if you want to show the kids what people used to communicate in the late 20th century, or if you want to see the faces of the guys at the office when you pull out one of these, there's a good chance that you can grab a working old-school cell phone from an online store selling refurbished units. What classic cell phone model would you pick? Let us know in the comments! Its like cockroaches... Tough to kill! I bet It will survive nuclear war..
Haha.. Dude,, Were talking about "relics" here that time cant even destroy.. I bet your magnus is not around during the "feature phone era", also known as the golden age of Nokia..
Hahaha! Nokia should be on a Museum. I have a couple of Nokia smartphones from the good ol' days that could end up in a museum... a Nokia 9300 and a Nokia E62. I got rid of all my other old Nokia phones over time, but those two I kept for good reason. I think I would give them up if I knew they would live the rest of their existence in a museum. 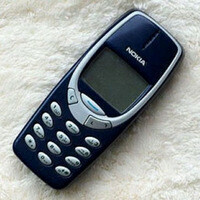 I would like a Nokia 1100 but I am starting tu buy old phones to keep them. When I was 9 I wanted a Nokia phone, no matter wich i just wanted a Nokia. Then I had Nokia 6300, then wanted 6700 classic and N97 but I had an iPhone 4 instead of them. I'll like to have a nokia 3310. I want to play all those 4 awesome games. I made a grave mistake selling it. Yeah.. Grave mistake man.. Now, North Koreans are using them as warhead thanks to you.. Even then, you can just buy it for self defense. Or you can break the Windows on a phone. I want a Nokia 3310. Well, these Nokias are better than the Lumias. True fact....can't beat those phone. Classic legendary glory. Sure you can buy these real cheap....whose gonna get u the battery?...I have a moto razor....no genuine battery to go with it. Tried a couple from ebay and amazon...all died within a two weeks time. Oh man I miss my ol' nokia so muchhhh !!! Too bad it overcharged and then bubbled and died. RIP my old friend. Miss my old Nokia's!!! I switched to the Icon just to be using a Nokia again, and even though I'm now used to the Windows OS and it's limitations, it's still great to be using a Nokia again and getting all the Nokia accessories for the phone. There's just something about that brand that I've always been attracted to. It'll be a really sad day when Microsoft stops using the Nokia brand completely. I remember my nokia 3310 and 3589i miss them both. I owned 3210, still own 8850, N73, N8, N9, 1020 and 1520. The 8850 is the grey alloy version and it still looks nice. The N8.....man this phone rocks, still it makes better pictures than current phones! The N9, Meego one of the best mobile os ever made! The 1020 best camera phone on the market, no other phone brand can compete yet! It may not be shipping yet, but the new Galaxy K Zoom is going to be superior to the 1020 in many common situations. This is not to say the 1020 is bad, but even a great sensor cannot make up for more capable optics, i.e. 10x optical zoom. K Zoom will not be better than the 1020, Like the S4 zoom looks like crap! Have you ever used a Pureview device? I guess not because you can zoom in to the pictures afterwards. If a pureview device will equip optical zoom (maybe in the future) it will be more awsome than now.